This article represents a quick, crisp and to-the-point instructions on how to setup Kubernetes on Ubuntu VM. The steps below would help you get started with Kubernetes on your laptop with the help of Minikube. Minikube is a tool which runs a single-node kubernetes cluster inside a VM (virtualbox in this article) on your laptop. In this article, we will look at the steps for installing Kubernetes within an Ubuntu VM. The steps remain almost same for Ubuntu OS with the difference of how you enable the virtualization at BIOS level. First and foremost, a hypervisor needs to be installed. We will install Virtualbox. The detailed instructions can be found on VirtualBox installation page. For Linux distributions, the instructions can be found on this page, VirtualBox for Linux. 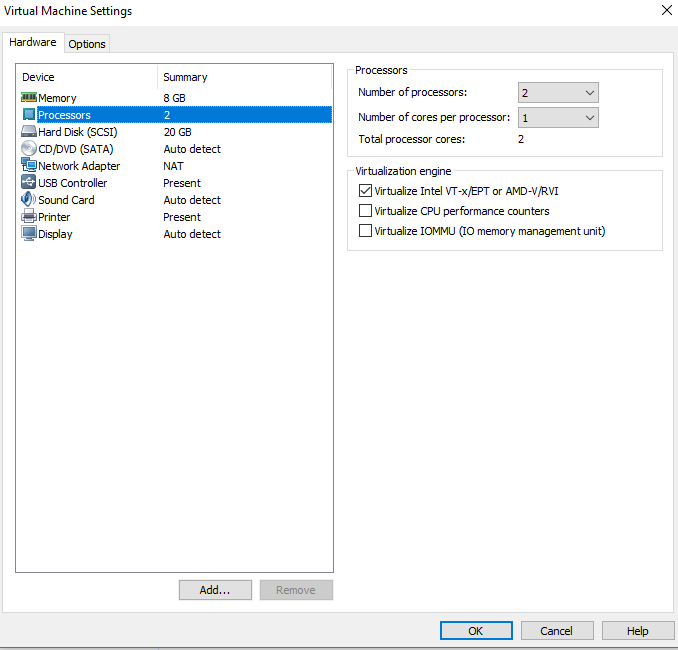 Click on processors and check the box such Virtualize Intel VT-x… as shown in the diagram below. Access the Kubernetes Dashboard; The command below would open up a browser.